BEAVERTON — Every point mattered. Determination was at a peak level. A lot was at stake. 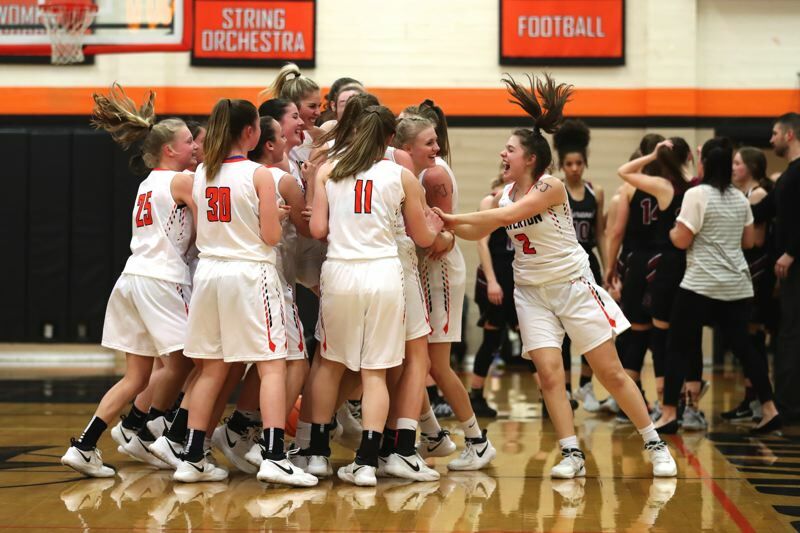 And the Beaverton High School girls basketball team got to celebrate a hard-fought victory. 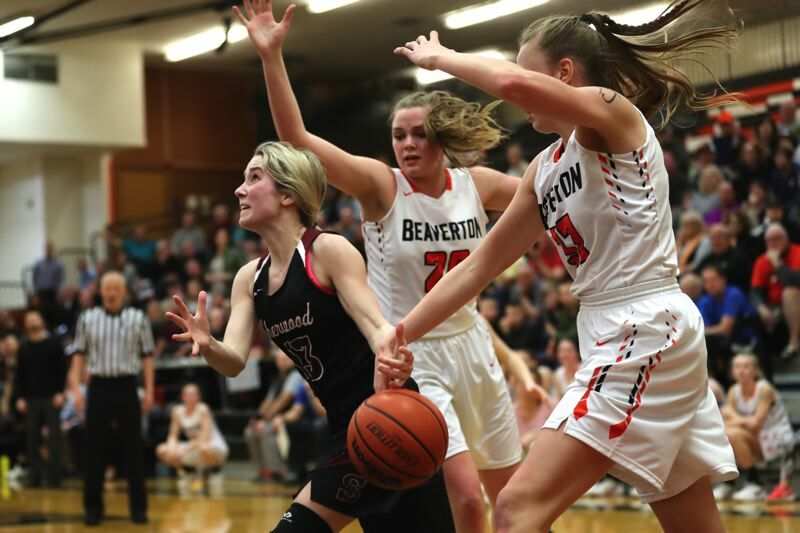 In a contest that was a calculated battle from start to finish, the Beavers rallied in the second half to score a 23-18 win over Sherwood in a Class 6A state playoff second-round game played Friday at Beaverton High School. And, with that victory, Beaverton earned a spot in the Class 6A state tournament for the first time since the 2014-2015 season. 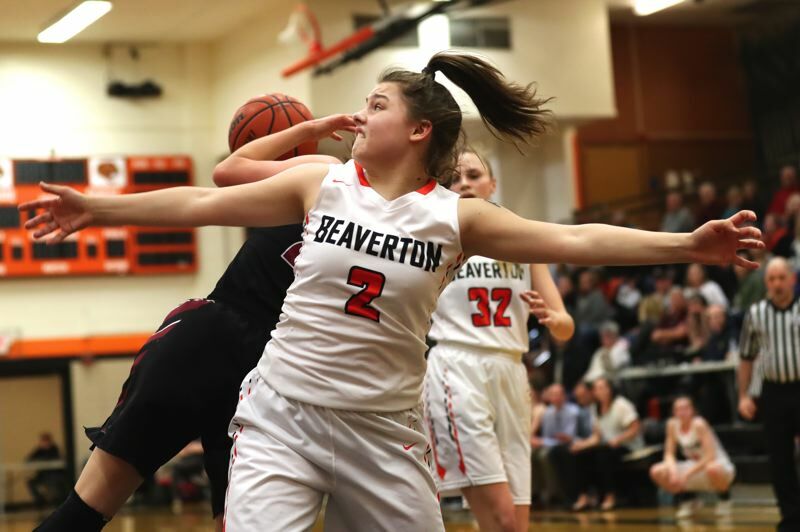 "The past three years, when I've been here, I've never gotten to experience the Chiles Center (site of the Class 6A state tournament," said Cierra Speck, who is the only senior on the Beaverton roster. "So I'm just beyond happy to be able to be with this team and be with this coaching staff and get the chance to go to the Chiles Center." "It's big," said Beaverton sophomore wing Sydney Erikstrup, who scored 10 points in the contest. "Obviously, we were down at halftime, but we said 'this is our game.' It was all mindset. At first we were a little frantic, and that upset us a bit. But, in the second half, we just calmed down. We trusted one another — we had all the preparation and training." With the victory, Beaverton, the No. 2 team out of the Metro League and the No. 3 team in the final OSAA power rankings, improved to 22-3 on the season. The Beavers also advance to the Class 6A state tournament. They'll face Sheldon in a state tourney quarterfinal game on Wednesday, starting at 6:30 p.m., at the University of Portland's Chiles Center. "Win a state championship," Erikstrup said of Beaverton's goal at the state event. "At first, obviously, we're going to take it game by game. Anyone can beat anyone on any given day, so you have to be ready." 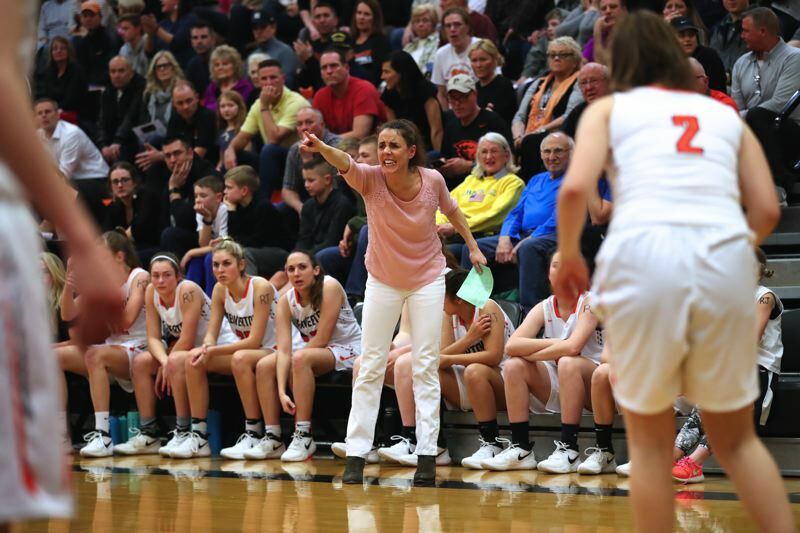 "After the past two years, the Chiles Center wasn't even in the books," said Speck, who was part of last year's Beaverton team that went 4-20 on the season. "The program has totally taken a turn, and I'm just glad I'm here to experience it." Sherwood, the No. 4 team out of the Three Rivers League, and the No. 2 team in the power rankings, finished its season with a final record of 13-13. 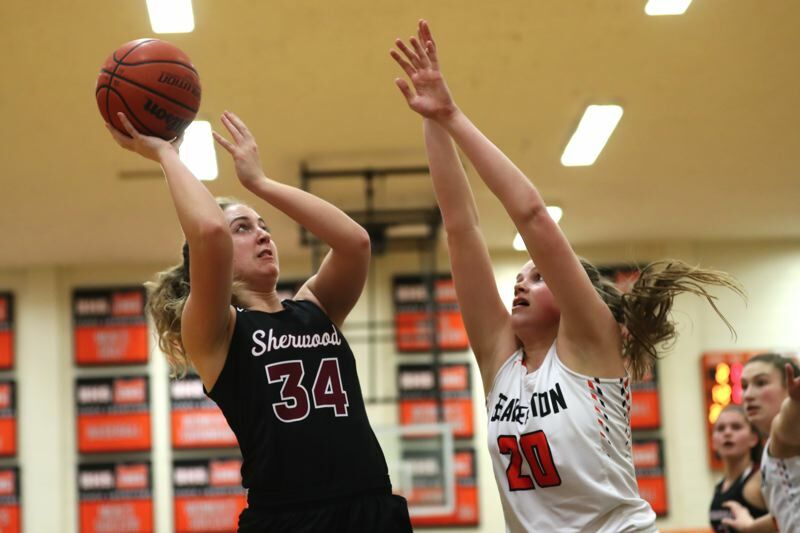 "Honestly, I thought we had a great year," said Sherwood guard Lauren Scarvie, who is the only senior on the Lady Bowmen roster. "I appreciate how hard we worked and how much we improved since the start of the season." "It was a fun season," Sherwood junior post Cali Etherington said. "It was my favorite season so far." 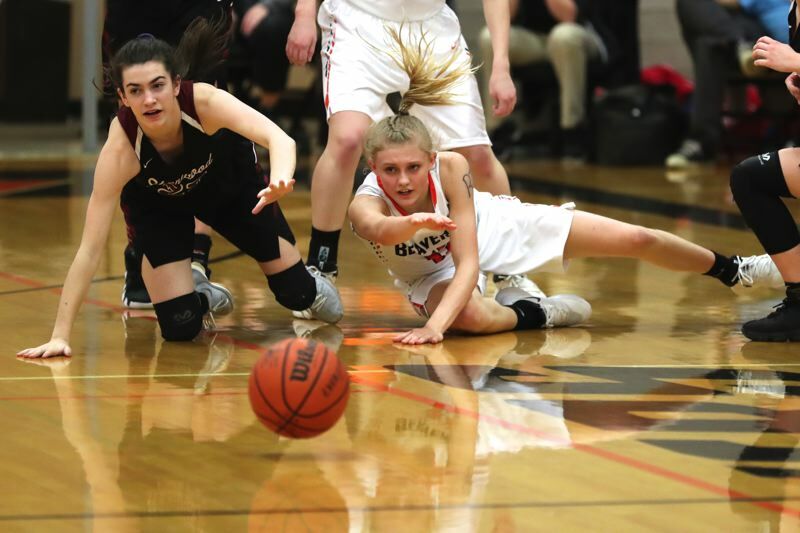 The Lady Bowmen, behind their stingy defense, looked determined to keep their season going. 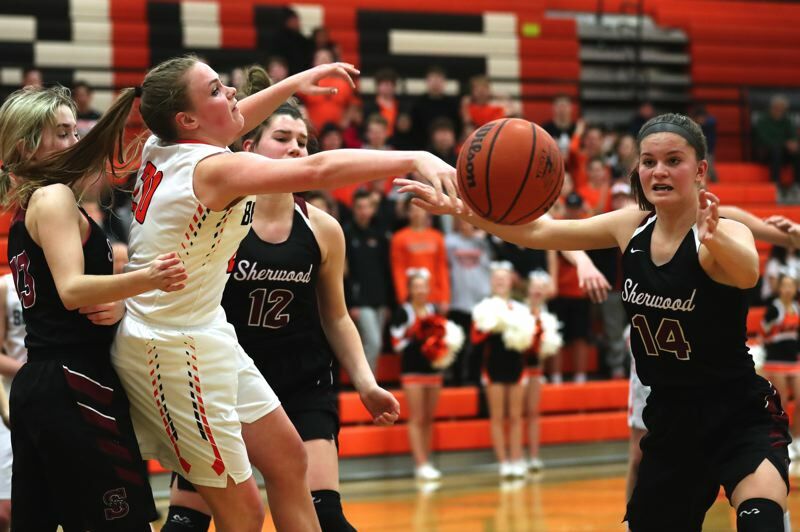 With junior guard Aubrie Emmons sinking three 3-pointers in the first half, Sherwood would claim an 11-8 halftime lead in Friday's playoff contest. "We had a lot of energy," Scarvie said. "And, in the first half, we really rebounded well as a team." " That was the hardest I've seen us rebound all year," Sherwood coach Wes Pappas said. "Our girls really scrapped and fought." "It was a tough game from the first quarter," Speck said. "They wanted it bad, we wanted it bad. We had a bunch of good shots, but they just weren't falling. Rebounds kind of killed us a little bit, but, in the second half, we stepped it up." Meanwhile, Sherwood kept its intensity going in the third quarter. Scarvie scored on a layup off a pass from sophomore guard Ava Boughey, following a steal, to give the Lady Bowmen a 17-13 lead with 1 minute and 51 seconds left to play in the period. But the determined Beaverton squad quickly turned things around. Beaver sophomore Laura Erikstrup scored on a layup off a pass from freshman Mackenzie Naro to cut the lead to 17-15 with 1:42 left in the quarter. 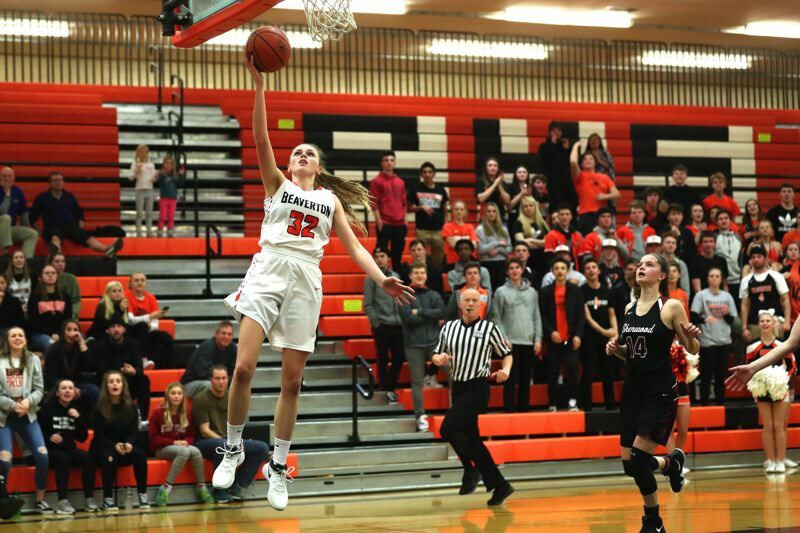 Then, following a free throw by Scarvie, Sydney Erikstrup scored on a drive to the hoop, trimming the Beaverton lead to 18-17 with 29 seconds left in the period. Sydney Erikstrup then came up with a steal and layup 16 seconds later, giving the Beavers a 19-18 lead going into the fourth quarter. "I was just so determined to get us going, especially since it was such a close game," Sydney Erikstrup said. 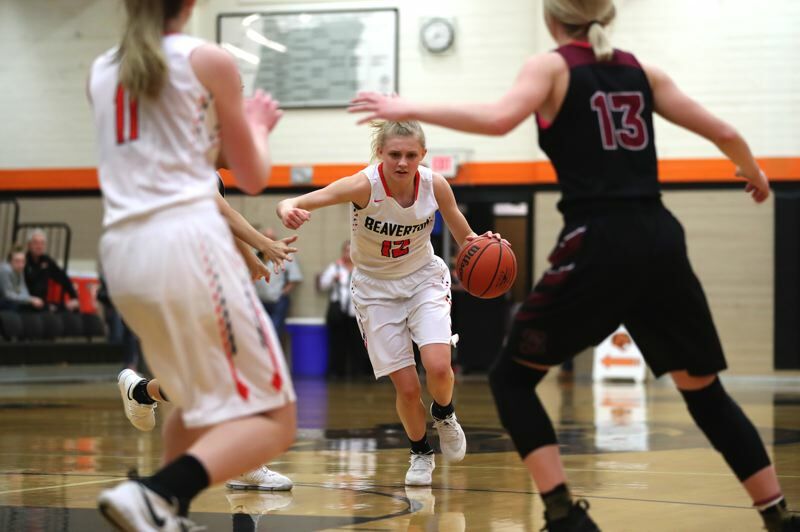 Sydney Erikstrup opened the fourth quarter scoring with a basket on a drive, giving Beaverton a 21-18 advantage with 6:18 remaining. Then, following a pair of Sherwood turnovers, the Beavers held the ball — literally. 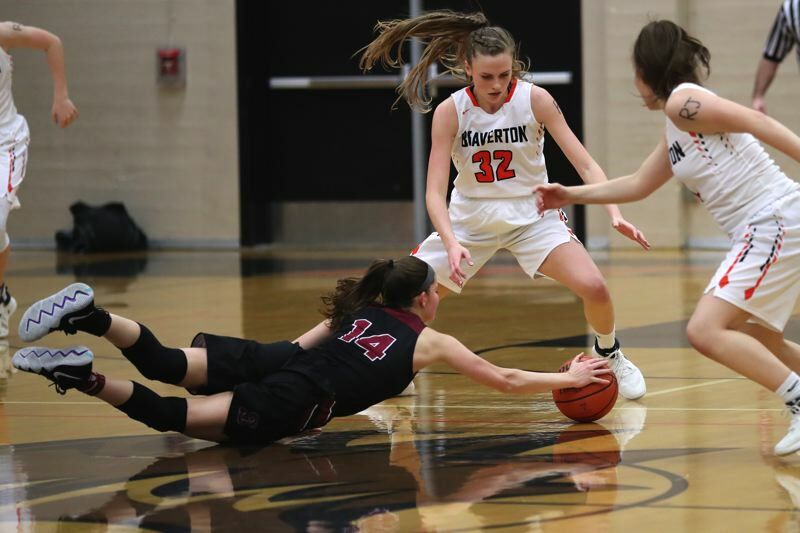 Starting with 4:08 left in the game, Beaverton sophomore guard Mary Kay Naro held the ball while just inside the mid-court line. With Sherwood just staying back, Naro just stood there, holding the ball for the next 2:39, until the Lady Bowmen came out to put pressure on her. 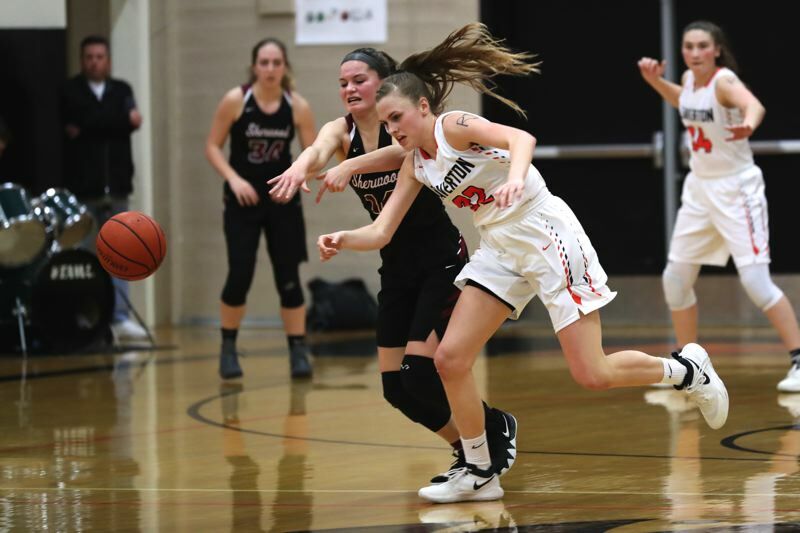 The long Beaverton possession ended with Sydney Erikstrup being fouled with 40.7 seconds left to play. Going to the line in a one-and-one bonus situation, she sank both free throws to up the Beaver lead to 23-18. 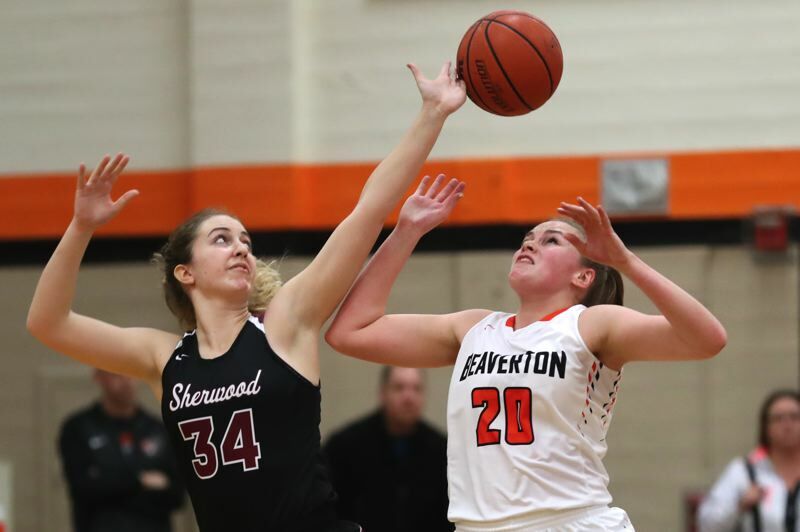 "In practice, (Beaverton head coach) Kathy (Naro) always tells us to put it in our head that it's a state championship game, and we're down one," Sydney Erikstrup said. "So I took a deep breath, stood up there, but my heart was racing." 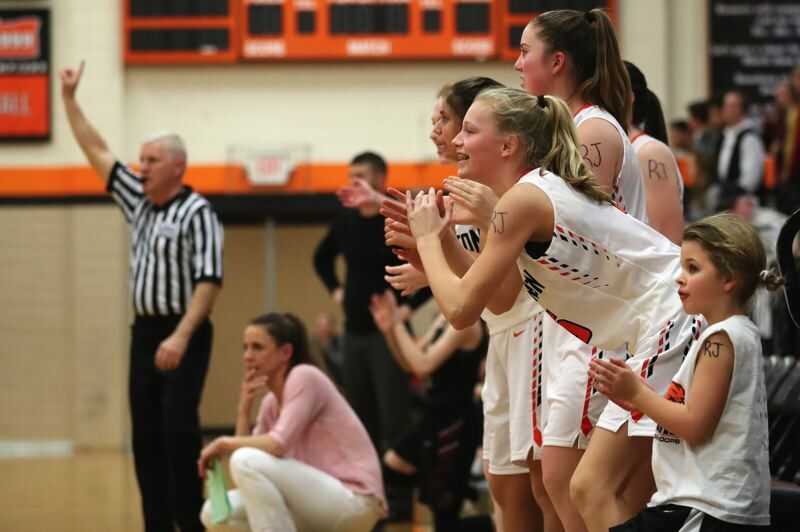 Following a Sherwood miss on a drive and a Beaverton offensive rebound following a missed free throw, Laura Erikstrup scored on a layup off an inbounds pass to wrap up the 25-18 win, and ignite the team's victory celebration. "I was just like, 'wow, the Chiles Center.' It's something I've never experienced," Speck said. "This is a great feeling to be able to play at the Chiles Center." "I honestly think it came down to how bad we wanted it. Especially for Cierra, our senior, getting her to the Chiles Center. We really wanted to get her there," Sydney Erikstrup said. "It's amazing. I'm so proud of this team. It was one of our goals, written on the board in there, and we did it." Laura Erikstrup, who went 7 for 8 from the free-throw line, led all scorers in the contest with 15 points. For Sherwood, Emmons scored 11 points. Scarvie and Ellington each had three and junior Alex Verkamp scored one. "We came out, and we wanted to hold them to as few points as possible," Ellington said. "We still had energy in the second half, but it just didn't go our way," Scarvie said. "But it was such a fun season. We went a lot farther than we thought we would." Sheldon, the No. 2 team out of the Southwest Conference, brings a 21-5 record into Wednesday's state tournament quarterfinal game with Beaverton.